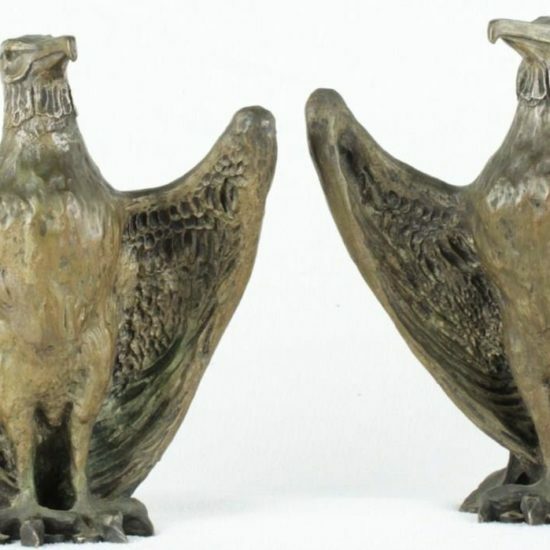 Today we are delighted to offer for sale a lovely antique signed Clodion bronze figural group! 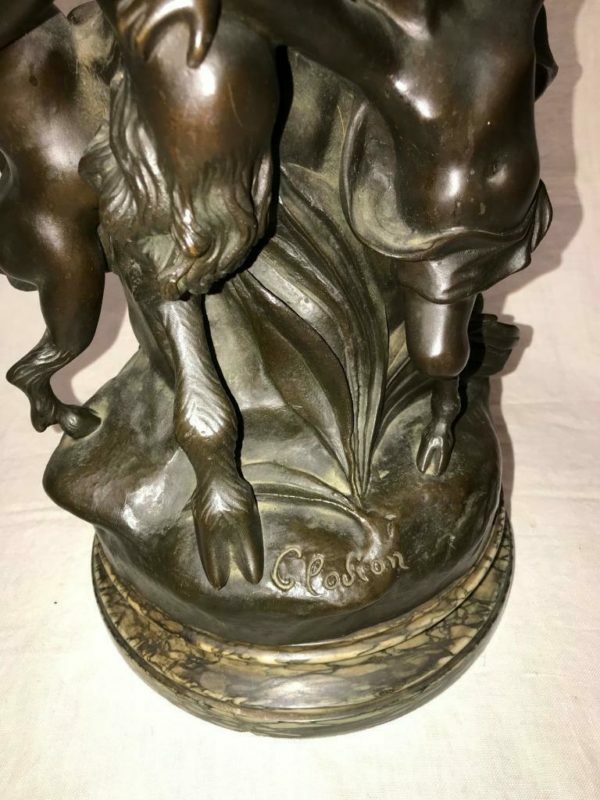 This fabulous bronze statue is crafted after the Claude Michel “Clodion” original. 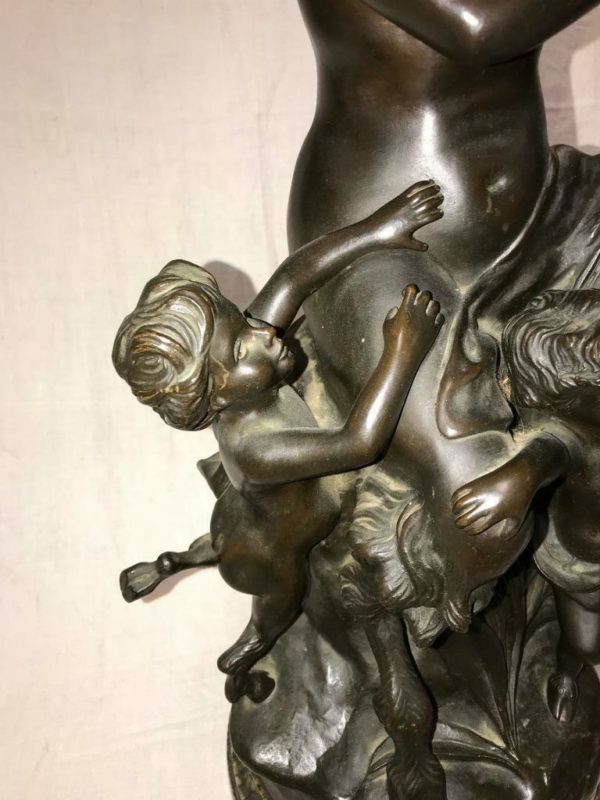 Claude Michel (1738-1814) known as Clodion, was a renowned French sculptor in the Rococo and Neoclassical style, especially noted for his works in terracotta. 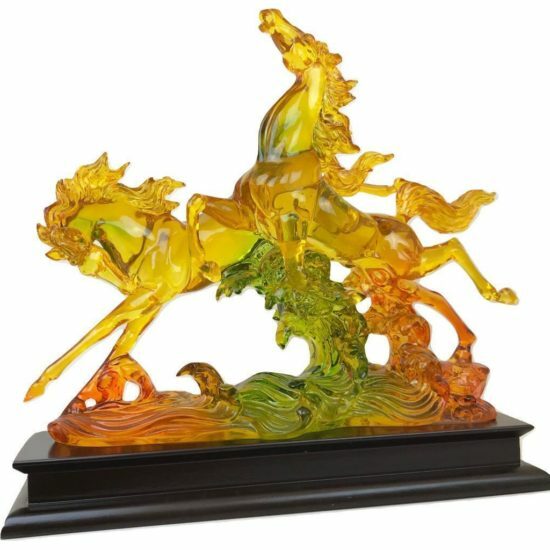 This outstanding and substantial figural group is finely and intricately crafted and detailed. 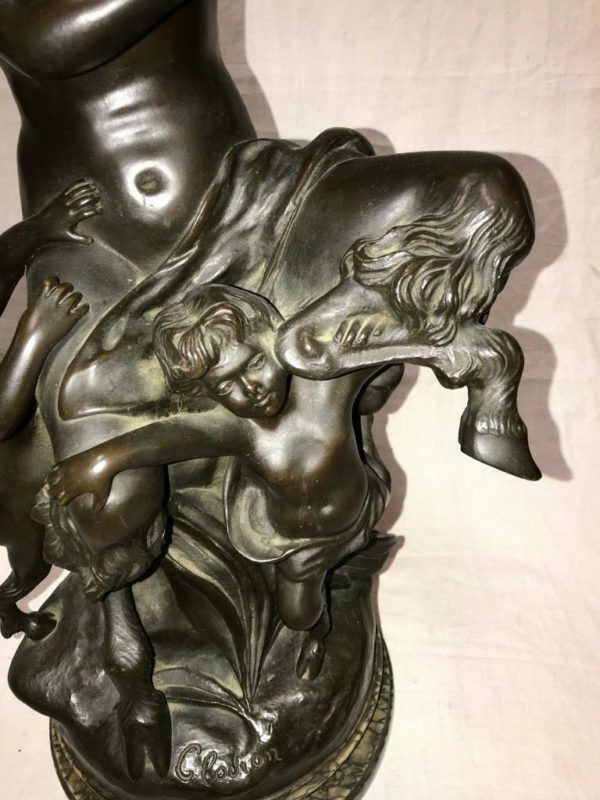 The piece beautifully depicts a satyress amidst her two satyr faun children. 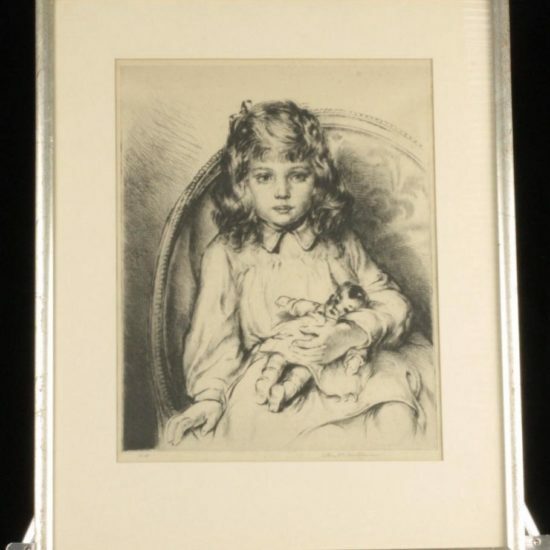 The satyress has a lovely and kind visage, while her children look playful and content. 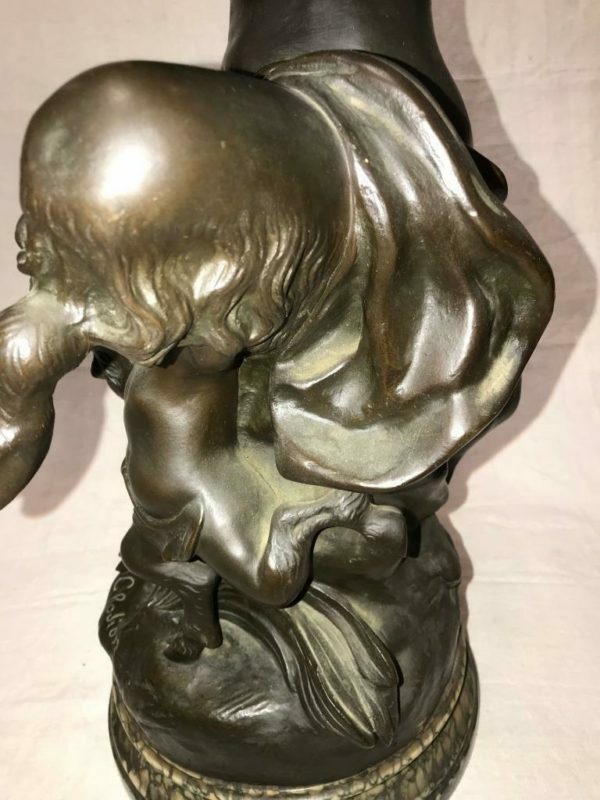 The bronze figural group is similar to a terracotta group in the collection of the Walters Art Museum in Baltimore. 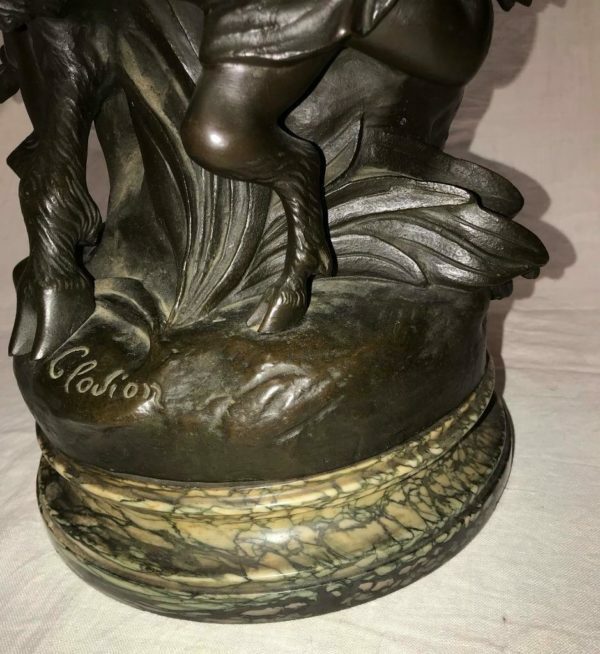 The statue is signed at the base “Clodion” and mounted on a Sienna marble beveled edge base. 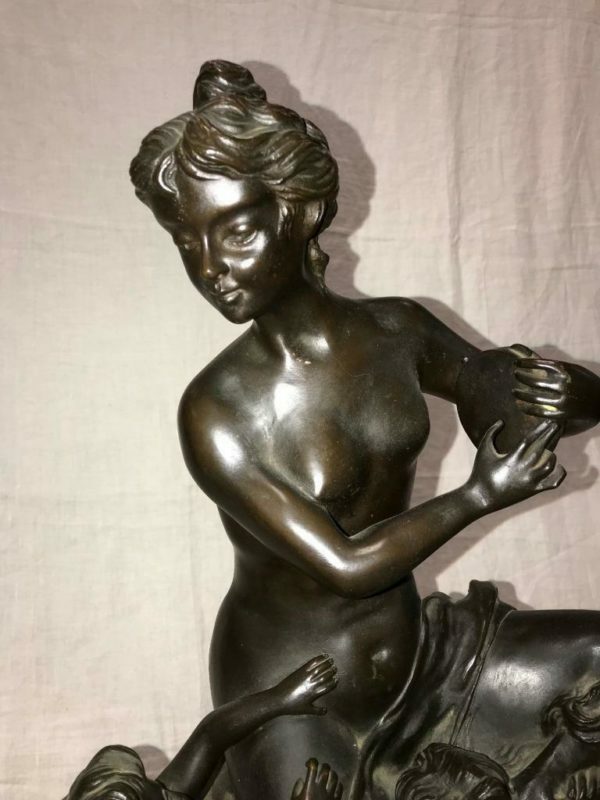 The statue presents beautifully and is in excellent antique condition, with very minimal display wear and patina. The marble base has a few hard-to-notice fleabite chips around the bottom edge. 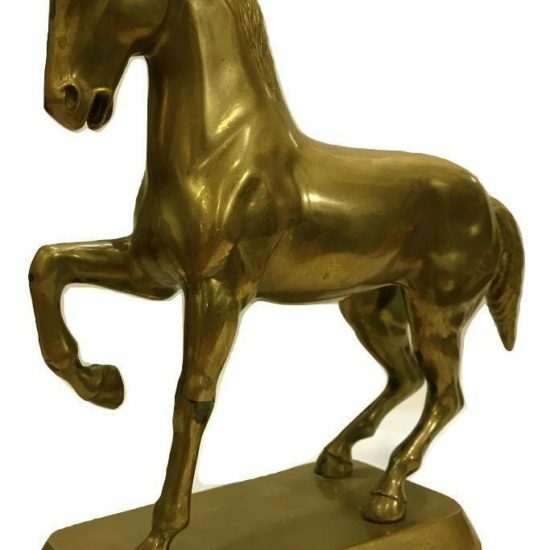 Add French elegance and grandeur to any interior with this fabulous and stately bronze art statue! 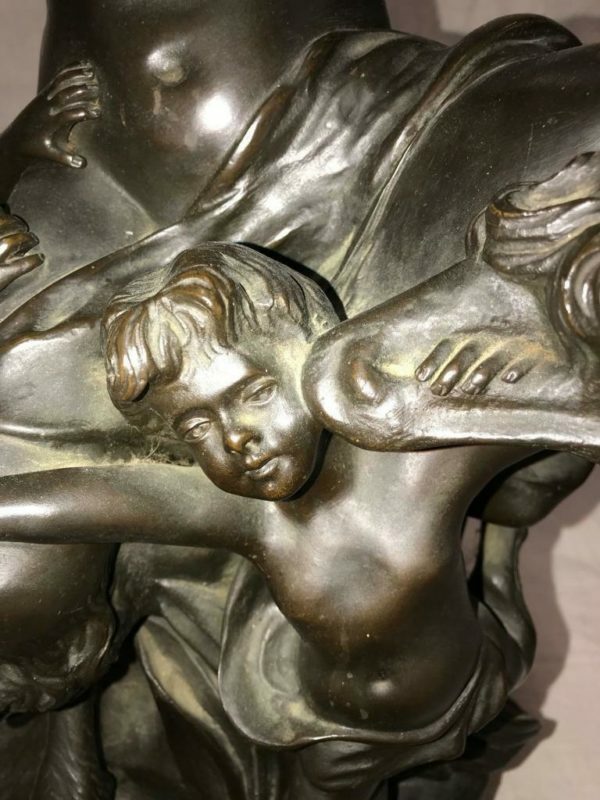 A fine piece that will make a crowning addition to any antique and vintage bronze statue collection. Fresh to the market! NOTE: Shipping cost is comprised largely of insurance. We do not mark up shipping.